Have you ever run into the corner of a table? Maybe sprained an ankle or fallen awkwardly (and embarrassingly!)? No matter who you are you’ve probably dealt with a bruise a time or two in your life. It feels like most of the time bruises are just something you have to live with until they go away. But what if I told you an essential oil for bruises could help? Would you want to try? Before I get into the specific oils that support bruising let’s go over what exactly happens when you get a bruise. When you injure your body without actually breaking the skin, you still crush the little blood vessels located there and they leak blood. This blood pools underneath your skin and that is what creates the red spot that eventually fades to a blue-ish purple bruise (1). While they usually heal within a few weeks, bruises can be swollen and pretty painful, especially when they are severe. Bruises don’t just happen in your skin and can also occur in muscles and even bone. A bone bruise is less serious than a fracture but can be really painful. Say you fell really hard on your elbow, you might not break the bone but you might bruise it and need a sling while it heals. People who take blood thinners, ibuprofen or other NSAIDs are more prone to bruising because those drugs can weaken blood vessels. Bruises themselves aren’t usually dangerous but there are some serious conditions that also cause bruising like leukemia, liver disease, Cushing’s disease or anemia. If there is extreme pain or swelling. If you think you may have a broken bone underneath a bruise. Provided you’re not dealing with one or more of the conditions above, essential oils are an appropriate and very effective remedy for bruising. We’ll review why below. Why Use an Essential Oil for Bruises? Of course this isn’t always the case but if these side effects are possible, it doesn’t seem like the best option for pain relief. I’m always up for trying natural remedies over medication because there is just less concern over toxins, artificial additives and side effects. That’s why I think using an essential oil for bruises is a better way to go. What Essential Oil for Bruises is Best? Well there are actually quite a few options, so I’ll get to those below. But first, it’s important to remember to dilute the essential oil before applying to the skin. Dilution reduces the risk of a skin reaction and allows the oil to spread over a broad surface area without evaporating. Diluting with specific carrier oils (like fractionated coconut oil) also help the essential oils penetrate the skin, enhancing the therapeutic effects. Here are seven essential oils for bruises I’ve found to be the most helpful. Arnica essential oil comes from a yellowish-orange flower that is sometimes called a “mountain daisy”. It is often included in creams for inflammation, muscle aches and pains and swelling (4). It is so common as a treatment for bruises that people often use arnica as one of the essential oils for bruising after surgery, especially plastic surgery. One 2016 study compared patients who had undergone rhinoplasty, or a nose job. They found quicker healing times in those patients who took the arnica. Like anything, do a spot test before using it just to make sure you don’t have an allergy or sensitivity to the plant. And only apply arnica to unbroken bruised skin. Frankincense essential oil is actually a resin that is extracted from the boswellia tree. It has been known to have healing properties for thousands of years and is associated with the Christian faith as one of the gifts to Jesus from the three wise men (6). It is said to have anti-inflammatory compounds that are also protective and potentially regenerative to healthy cells. This is why frankincense for bruises can be helpful. It could help to relieve both the pain and inflammation (7). One 2013 study took frankincense and turmeric and made it into a topical formula for bruising. They tested this against an over the counter topical spray and found that the essential oil for bruises blend decreased the pain score in patients more effectively than the other medication. It also improved healing time and swelling (8). An essential oil for bruises and other skin ailments, helichrysum is a mediterranean plant that has been called the “everlasting flower” (7). It has anti-inflammatory, antimicrobial and antioxidant properties (9). One 2103 study found that when used for bruises, helichrysum can reduce the size and lessen inflammation. Another interesting thing about this essential oil is that it’s often used in anti-aging creams and lotions due its skin regenerative properties! The magic of essential oils is that they can be used for so many different things. Lavender is so common these days, you might have a little bottle of it around the house to diffuse for anxiety or to add in the bath. But did you know that lavender is a great medicinal oil too? Lavender is a great essential oil for bruises and even burns or other damaged skin too. When applied to a bruise right after you see it, lavender can help reduce healing time, swelling and pain. A 2015 study followed sixty women who had experienced episiotomy or a cut perineum in childbirth. Ouch. They found that lavender essential oil for bruises and wound healing was highly effective for the women in the trial as opposed to a placebo group. They also found no unhealthy side effects! St. john’s wort is a bright yellow flower full of medicinal properties. It’s rich in flavonoids which are compounds responsible for soothing inflammation in the skin. It’s also hydrating and can be used to decrease the appearance of scars. As an essential oil for bruises, st john’s wort supports quicker healing and less pain. A 2018 study followed women who had an episiotomy in births, and they used lavender for bruising and pain. Combined with yarrow, which I’ll discuss below, the oils reduced pain level, redness and swelling (12). Overall, I would say that was a successful experiment. Usually when we think of bruises what comes to mind is a bump on the knee but essential oils for bruising after surgery and other more intense traumas can be really helpful. And when you’re recovering from that kind of bruising, you want all the help you can get! Turmeric is a bright orange root that is used medicinally and in cooking, especially in Indian curries and other Asian dishes. It is one of those herbs that can be used internally for stomach issues and pain relief or on the skin as an anti inflammatory and wound healer (13). While turmeric powder is a great cooking spice, the essential oil is highly concentrated making it effective for many natural remedies! Turmeric is good for anything involving inflammation because of the active ingredient called curcumin. The essential oil is bright yellow and very potent. It’s also an affordable essential oil for bruises and other skin issues. Remember that just because something is accessible doesn’t mean it isn’t effective! Some of the most potent medicinal herbs are right in your kitchen cabinet. Yarrow is another accessible flower that you’ve probably passed on the side of the road many, many times. It is usually just called a weed, although it is a versatile plant with many healing properties. It can be used as a fever reducer and can also help stop excessive bleeding. It’s potent flavonoids make it an excellent pain reliever. As an essential oil for bruises, yarrow brings circulation to the area and can help speed healing. This is because it helps skin cells to regenerate. Remember those great results for women who used yarrow and st. john’s wort to heal episiotomy wounds? If it works for them, it might work for you too. So now that we’ve gone through some examples of essential oil for bruises, how do we use them? Remember as I said earlier, because they are so potent it’s a good idea to dilute essential oils before applying them to the skin. The easiest way to get fast relief is just to mix them with a little carrier oil, like regular coconut oil or fractionated coconut oil and apply that. A carrier oil is any plain, unscented plant-based oil like almond, apricot, sunflower, olive or jojoba. An oil like olive might be better for people with dry skin and coconut oil may be better for oily skin. A general rule of thumb is 1 to 4 drops per teaspoon of carrier oil. Potency does play a role in the amount as well. For more potent oils use less, for more mild oils, use more. You can also use more (up to 4 drops per tsp.) for acute situations where you need a therapeutic result relatively quickly. It’s best to start with less, though and work your way up as needed. There are some great DIY recipes using essential oil for bruises and I’ll share a few of those with you below. This is by far the easiest way to get the healing properties of any of these oils onto your skin right away. Take a washcloth and use cold or hot water to soak it in. Put a few drops of your favorite essential oil for bruises onto the cloth and lay it over your skin. Bonus points if you wrap a tight elastic bandage around it to give some compression! This will prevent the blood vessels from leaking. The benefit of this is how convenient it is and no mess on your fingers from applying! You could make this for your medicine cabinet and keep it on hand anytime you have a bruise, sprain or other skin ailment. I’ve even carried a roller in my purse with kid friendly oils for the (many) times my boys have fallen or hurt themselves while we’re out and about. Close the roller and shake it all really well to blend. Rub some over bruised or damaged skin up to four times a day. This is a great multi-purpose cream that could be rubbed on sore muscles, bruises or any place on the body that is swollen and inflamed. It definitely takes a little more prep work than the roll-on but can stay in your medicine cabinet for up to six months. Set up a double boiler on the stove and get the water going to a slow rolling boil. Add the shea butter and jojoba and stir gently until it melts. Gradually add the coconut oil and turn off the heat. Continue to stir and as the mixture cools, add in the castor oil. Once the oil mixture is ready you’ll want to add your essential oils. Allow this to cool and you’ll notice that the cream starts to solidify. You can leave it like that, with more of a salve consistency. Or gently whip it so it becomes fluffy. Store it in the glass jar in a cool dry place. The castor oil will help the medicinal properties of the essential oil for bruises penetrate deeply into your skin, while the jojoba and shea butter are protective and moisturizing. Coconut oil helps maintain the shelf-life and protect against microbes. Use this bruise and sore muscle cream as needed, up to three times a day. So let’s say you’re using an essential oil for bruises but you want to double down on your support. This would be especially important for a sprained ankle or wrist. Here are some other natural remedies you can try (14). Ice. That’s right, if you apply an ice cold compress to your bruise immediately it should keep too much blood from pooling in the area. Ice for five to ten minutes, as long as you can handle it. But after ten give the area a break and try again after twenty minutes or so. Elevate the area, above the heart if possible. This can help to alleviate pressure on the bruise and drain away any fluid that may be accumulating from swelling. Use heat after the bruise has already formed and is on its way to healing. This will bring blood circulation to the area to clear trapped blood and helps unwind tension. An epsom salt bath isn’t a bad idea either! A great topical option is Vitamin K cream. Vitamin K helps blood to clot and could reduce the healing time of bruising. Let’s say you’re looking for a way to use essential oils for bruises and sprains, but you don’t want to use a carrier oil. Mix five drops in an ounce of aloe vera gel instead! Aloe is already a great ally to ease inflammation and soothe the skin. That’s why we use it for sunburns. Mixing it with an essential oil blend is another option. Most of us know to take vitamin C for cold and and flu, but vitamin C is also great for the skin and is sometimes even used in anti-aging or regenerative face creams. It’s anti-inflammatory and helps to speed healing. Vitamin C can be taken internally or applied topically as a cream to support healing. Rest. Need I say more? Consider this your permission slip to take it easy. Really easy. Especially if you’re healing from a nasty bruise! To sum it up, there are alot of natural, non-toxic ways you can start to heal after a sprain or bruise gets you down. 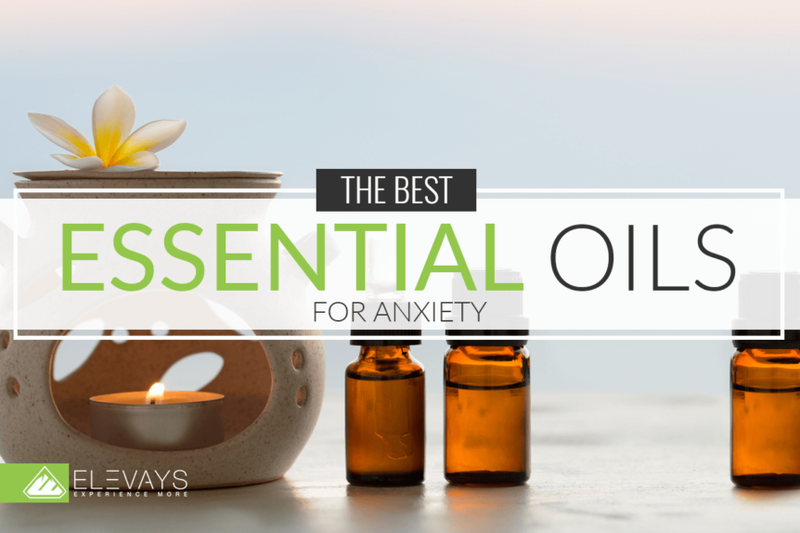 Whether it’s making a roll-on treatment, a cream for your medicine cabinet or just a quick compress using essential oil for bruises, you’ve got options. I hope you’re feeling inspired to add to your home-made medicine cabinet and that you’ve learned a little bit about how to empower yourself using essential oils. Do you have your own recipes or tips on how to heal naturally from bruises? I’d love to hear about it! Leave a comment below and share your story. Get FREE weekly updates, right to your inbox. Learn more about who we are, what our mission is and how we’re here to change the way YOU live and experience life every day!